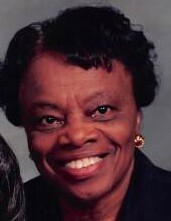 Lillie Mae Dunn, of Raleigh, NC departed this life on Tuesday, April 9, 2019. Funeral Service: 10:00 AM, Saturday, April 13, 2019 at Lea Funeral Home Chapel, 2500 Poole Rd.,Raleigh, NC. Visitation: 9:30 AM - 10:00 AM, preceding the funeral service at the chapel. Survivors: Sisters, Mary Arinda Dunn of Raleigh, NC and Barbara Dunn Wells of Rocky Mount, NC; Brothers, Deacon Kenneth L. Dunn ( Rev. Muriel) of Raleigh, NC; Special Cousins, Willie Mae Woods of Raleigh, NC.